The most important part of vacation planning is What will I read? So let’s take care of that, shall we? Mary Buchan of Midlifestyle RNventor is hosting a book blog hop giveaway during her virtual book launch of Over iT. 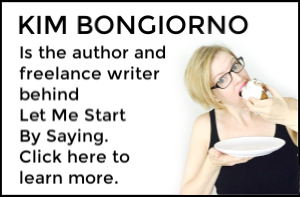 Thirteen authors–including me–are giving away copies of books for a little summer reading. 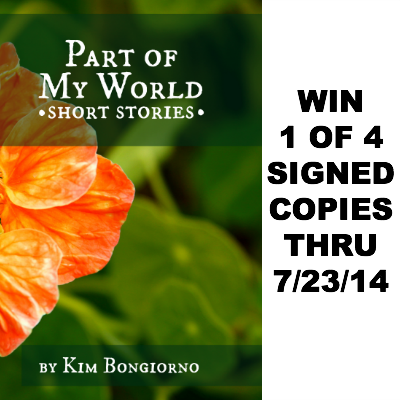 I’m giving away 4 signed copies of my book Part of My World: Short Stories. “This book left me breathless.” – Leslie Marinelli, Amazon 5-star review. Enter to win 1 of 4 signed copies of Part of My World: Short Stories via the Rafflecopter entry box below, then make sure to click over to the other authors’ sites for a chance to win books from them, too. The giveaways all end on July 23, 2014. Good luck!